Leigh van den Berg takes a look at a few of the hottest new products making waves in the beauty biz this week. Want to know what’s new in beauty and getting all the beauty eds in a tizz? First up, The Body Shop has just launched its much-anticipated Honeymania collection and boy is it a goodie. Instead of being a sickly sweet type of scent, Honeymania’s fragrance is a soft, creamy floral with just the teensiest hint of honey. It smells so darn delish I have to stop myself from wanting to lick my skin! Made using antioxidant-rich Community Fair Trade honey sourced in Ethiopia, the mega-moisturising line includes a body scrub, body butter, cute honeycomb-shaped soap, lip balm, shower gel and bubble bath melt (a pot filled with what looks like honey but ultimately serves as liquid bubble bath). If you buy just one thing, make it the body butter (R140); this way the scent will linger on your bod the longest. Something else that’s creating a bit of a buzz? 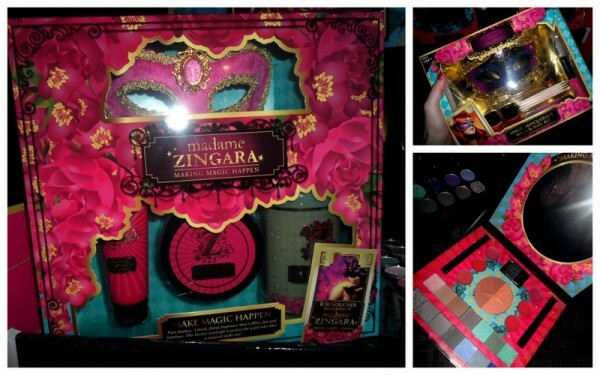 Local travelling circus and restaurant Madame Zingara has teamed up with Clicks to create its own cosmetics line that’ll be in store come the middle of next month. The range includes box kits with loads of colourful eye shadow and cute little feathers you can stick in your hair. In a nutshell, it’s the perfect razzle-dazzle “party make-up” or for when you want to create a look that stands out. Of the few items I got to try, the eye liners impressed me. They glide across your skin like magic and have good staying power yet are easy to smudge up just after application, things I’ve come to associate with pencils that are double their price. In other news, Toni&Guy sent me a selection of its products which are now being pitched as a “hair wardrobe” with hair-care products to “make” your every look, be it casual, classic or glam. As it turns out, I’m a classic kinda girl as I’m most taken with the Shine Gloss Serum (R149, exclusive to Clicks), a lightweight silicone-infused serum. I massaged two pumps of it into my palms and then smoothed down the lengths of my hair while damp. When it was dry it created silky-feeling, shiny-looking, frizz-free locks that didn’t feel “coated” or weighed down in the least. Later on that day my friend Matt commented that my tresses looked super shiny. 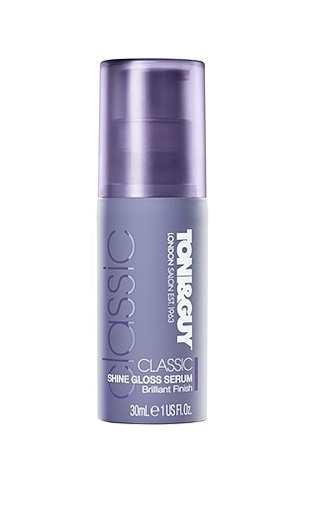 We all know boys don’t ever notice things like hair so this is a Very Big Deal and another reason why Shine Gloss Serum gets a big two thumbs up. 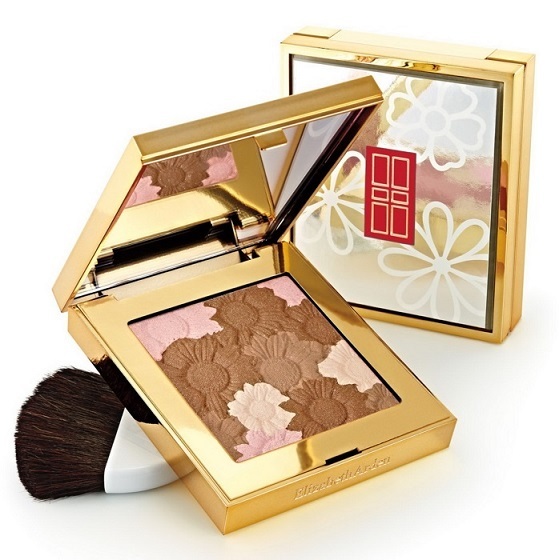 Last but not least can we all just stop and take a moment to marvel at the beauty that is Elizabeth Arden’s new limited-edition New York in Bloom Pure Finish Radiant bronzing powder (R280)? An illuminating mineral bronzing powder that’s infused with antioxidants and hydrating essential fatty acids, this is the crown jewel of Arden’s New York in Bloom spring make-up collection. I was lucky enough to receive it last week but, to be perfectly honest, I haven’t been able to bring myself to swipe it just yet. This baby definitely gets filed away under “too pretty to use”. Still, if you’re not hesitant to sweep across its mooiness, best you move fast; it’s selling out at beauty counters across the country. So, have you seen anything you like? Chat to me in the comments section below.